As of last weekend your trips to Long Lake Provincial Park have become even more full of possibility. That’s when new lakeside rental shop Long Lake Adventure Company debuted on the shores of the beloved swimming, hiking, hanging spot (at the 75 Old Sambro Road entrance, near the boat launch, to be exact), with the aim of getting folks on and in the water. "My sister and I have been paddling recreationally on the Northwest Arm for years and absolutely love it. I was familiar with Long Lake as my dad was involved with the recent development of the lake trail and the boat launch," says Sarah Polley whose father is PolyCorp's Peter Polley. After submitting a winning proposal to a government RFP for the provincial parks, Long Lake Adventure Company kicked into gear on July 14. " Since there is limited access to this type of equipment on a rental basis in the area, it presented itself as a great opportunity to encourage people to get out and active on the beautiful lake." 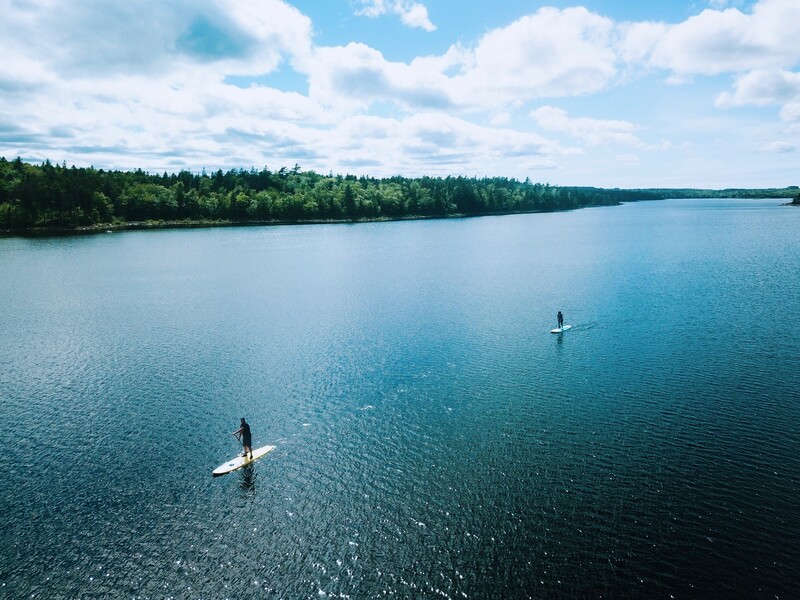 From now until the end of the summer, swing by for both kayak and stand-up paddleboard rentals (with kid’s and adult’s sizes available) ranging from one-hour stints to full-day excursions. How’s that for a humidex antidote? Book your gear online for discounts, or show up on a whim and hope for the best. Our beach days are numbered so you better take the plunge while you can.